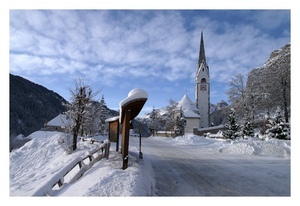 La Villa, in the Trentino-Alto Adige region of Italy, is a medium sized ski resort with 10 ski lifts (7 chair lifts, 1 surface lift) that offers skiers an impressive 667 metres (2188 feet) of vertical descent. La Villa has 19 pistes with a total length of 25 kilometers (16 miles). 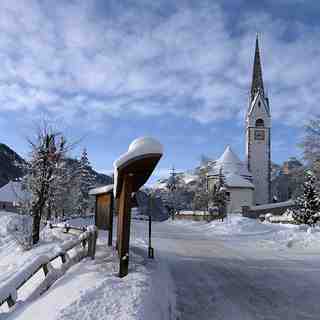 It is part of the area skipass Alta Badia with 130 km of slopes and skiresort skipass Dolomiti Superski with more than 1.100 km of slopes. 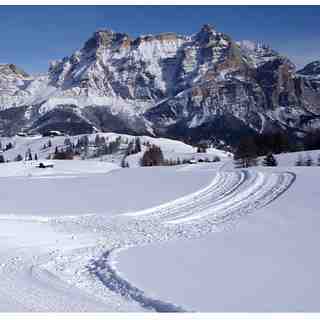 Situated between Corvara and San Cassiano, it is a good base to discover the hidden and untouched powder of the Dolomites. Just in front of the cableway is the impressive Sassongher couloir; 850m perfectly straight and vertical (45°). La Villa is best suited to beginner skiers and snowboarders but there is some terrain for intermediates but little of interest for expert skiers. 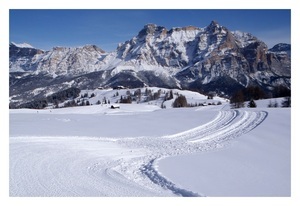 There are 15 kilometers (9 miles) of cross country ski trails at La Villa. For snowboarders, there is a terrain park. The majority of the pistes at La Villa are covered by snow-making. The nearest airports are in Venice and Treviso and the nearest train station to La Villa is at Brunico. There is accommodation located close to the pistes but we would welcome additional information about any hotels or chalets in La Villa. Fantastic and very varied skiing, caters well for beginners and intermediates. Top class ski instructors and the Gran Risa is a nice way to finish the days skiing. Locals friendly. Looking forward to going back next year.